The world-renowned Bergara barrel on this rifle for hunting whatever your heart desires is complemented by our own super-smooth B-14 Action, which is a two-lug system with a sliding plate extractor and a coned bolt nose and breech to ensure a smooth feeding and extraction of the cartridge. It’s also outfitted with a Bergara curved trigger we designed to guarantee a crisp, clean pull every time you fire the rifle. The trigger comes set at about three pounds. The Hunter is available with either a hinged floor plate or a detachable magazine. It has been factory drilled and tapped to fit Remington 700 style rings and bases. The (#4) Bergara 4140 CrMo steel barrel is finished in matte blue and is available in 22 inches in the short action, which weighs 6.9 lbs and 24 inches in the long action, which weighs 7.1 lbs. Our stocks are bedded with integral pillars for stability and enhanced accuracy. Bottom Metal: Standard with Floor plate. Convertible to detachable magazine (http://shop.bergarausa.com/pc_combined_results.asp?pc_id=4A2433FD3D61499E9D2925363AF6FF31) *not compatible with AICS Bottom Metal. 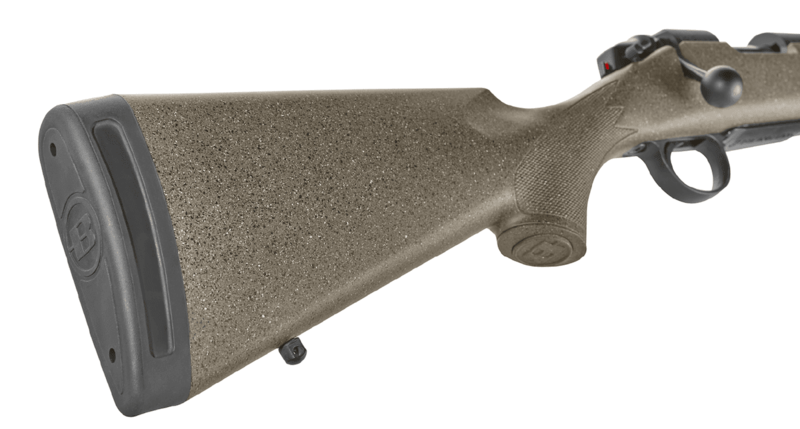 The world-renowned Bergara barrel on this rifle for hunting whatever your heart desires is complemented by our own super-smooth B-14 Action, which is a two-lug system with a sliding plate extractor and a coned bolt nose and breech to ensure a smooth feeding and extraction of the cartridge. 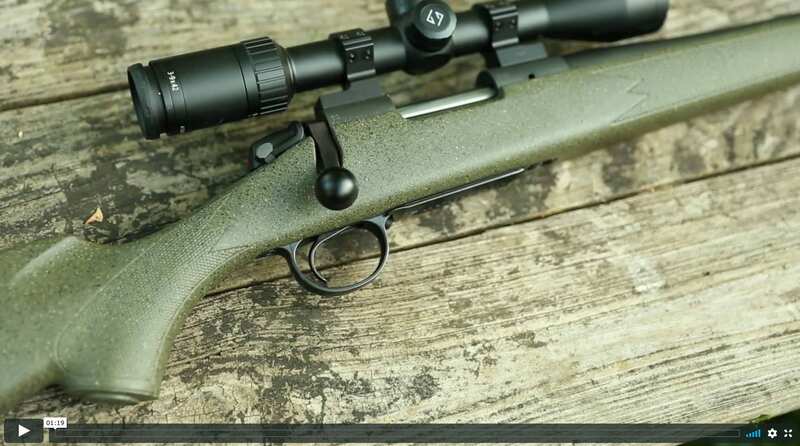 As with the entire B-14 Series, the Hunter brings Bergara Barrel accuracy to a line of hunting rifles that is affordable to serious big-game hunters. 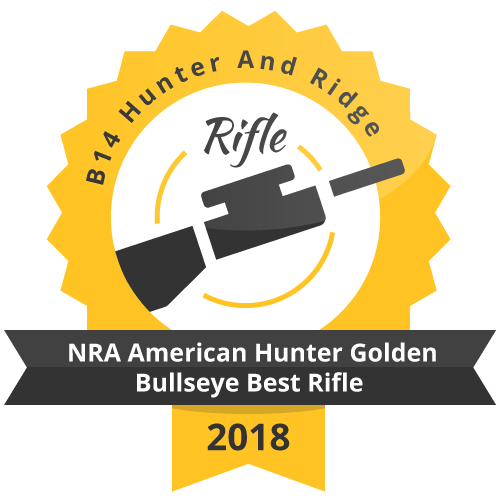 Built in Spain at our highly automated and efficient barrel factory, this rifle delivers a level of quality and performance that is unmatched in its price range.